Blog > News > LoveKnitting App for iPhone! It’s been a very exciting couple of weeks here at LK HQ, with the launch of our fabulous LoveKnitting App for iPhone! I fell in love with it completely when it launched on iPad, (you can read all about that here!) and now I’m euphoric to discover that it’s even EASIER to knit on the go! This morning, I was merrily knitting some gloves on the train, and forgot where the thumb increases started… this might normally pose a problem on a crowded train, rifling through bags for a piece of paper but not today. I glanced at my phone, tapped into the LK app, and my pattern appeared right at the moment I had left it last night! This magical convenience was so thrilling that I almost told the very grumpy woman next to me who was furiously tapping angry texts, and sighing at the train delay – no such misery for me, as I snuggled back down in my seat to knit on. There’s something very exciting about being able to access my patterns wherever I am. Non-knitters and crocheters might not understand this but for our tribe, access is everything – this is why I love LoveCrafts (and nobody paid me to say this, gentle reader) – they understand that we knitters need our yarn as FAST as possible, and we need to access our patterns wherever we are on the earth. So, what else does this fabulous little app have? When you’re travelling, it’s great to have the row and line counters running, so that you know where you are if you have to stop and start – and, it’s great to be able to enlarge charts, especially for lace, if your memory is as foggy as mine. One of the things I love, is that enables you to both plan your knitting and knit spontaneously. You can either make sure you download a pattern in advance for a long journey, and make sure you have everything you need to cosy down and knit – or, you can throw some yarn and suitable needles into a bag, leap into the passenger seat of a car/coach/train/boat/plane, and peruse our giant selection of patterns in the weight of yarn that you’ve grabbed, download a pattern, and get started right there and then! I know many of you are patiently waiting for a launch of the LK app for android – and I’m delighted to tell you that our brilliant tech team is working hard on that – but for now, if you’ve got an iPhone, you can get yourself to the App Store and give it a whirl! The free, exclusive patterns are divine – and every month, there are new patterns to devour, and I am so in love with some of the frosty winter designs coming up! Please be absolutely assured, that if I can do it – you can do it! I’ve loved the immediacy and accessibility of working my patterns on the go, and being able to access so much more than just a crumpled piece of paper in a project bag! Download the app today and join in the fun! Last updated: December 8th, 2016. 44 Responses to LoveKnitting App for iPhone! Yes, I understand their point but gosh I hate finding new apps that I want to try and discovering they are only on the iJunk. iGadget first always says to me: we don’t want your (less trendy) business. Either release for both Android and Apple at the same time or you’re definitely telling me that there’s Apple and then the second-class folk. Thank you for your feedback, we certainly take it on board and value hearing visitor comments. I’m so sorry you feel this way, it was certainly never our intention. There were many decisions and discussions surrounding the first creations of our Loveknitting app, part of the reason the iOS app was launched first was due to our amazing tech team having a great knowledge in app building for iOS. We are of course working on the Android app for our lovely visitors and certainly don’t want people to think we have forgotten them. Fabulous idea. Well done LK for getting your techno dudes to work this one out. Wouldn’t it be great to have access to ALL our patterns on such an app. Will be trying it soon. Question: If you are working on a pattern that was not accompanying the APP, what do you do? At present, I am working on a pattern that was downloaded from the computer and printed on a computer. Is the app worthwhile in a situation like this? The app sounds like a good idea if you are using a pattern that is on the app?? To be really useful, the app needs a way to upload patterns in PDF (or other) file format. Many of us have lots of patterns in addition to those from the LoveKnitting site. An app that only handles proprietary, LoveKnitting patterns has limited utility. For the last year, I’ve been using JKnit HD-Knitting for digital access to patterns with the ability to keep track of row progress in multiple patterns. It’s hardly perfect, but what’s invaluable is that I can use one app for any pattern that can be put into PDF format — i.e., any pattern! I would love this capability in an app actually designed by knitters! You’re completely correct, and the app team are working hard to create a feature so that we are able to do that in the future, it’s tricky to create all the features we’d love all at once, but we are getting there! I take a photo of each page of the directions with my phone. They can be enlarged to note details and are always with me. I’ve even photographed directions displayed on my computer screen. Sometimes I email directions to myself and save them as a PDF file on my phone – a lifesaver when the directions once fell out of my bag. How soon do you anticipate the app for Android to be available? ‘We are of course working on the Android app for our lovely visitors and certainly don’t want people to think we have forgotten them.’ What about an app for Windows phones? We are completely forgotten. On Dec 12th I emailed you – ‘I was looking at the banner describing the new app – brilliant I thought…Only to discover that there is NO mention of a Windows version. Please tell me this is an oversight and that a Windows version is in the pipeline, just like the android version. You leave us Windows users out at your peril you know?! The reply – ‘Thank you for your message. So – no mention of Windows and not even acknowledged – come on LoveKnitting, you’re better than this! Yup, I have a Windows phone too. (and love it). All the iphone hype and exclusivity is getting tiresome. Interesting that our comments don’t even get acknowledged… LoveKnitting is about to lose a customer and any recommendations! I’m so sorry for any disappointment caused, it certainly isn’t intentional, and our tech teams are working very hard to develop the app across other platforms. We of course want to make sure it’s the best it can be before we release it into the wild for you all, but this means it will take a little time. We really are very grateful for your patience and understanding. Love using this app. Easy and great for traveling. Never lose my spot in the pattern. I have been using this app for about two weeks and just love it! You’re right; I no longer have to deal with my pattern on a folded piece of paper with a sticky note. I use the ruler feature to keep track of where I am, and use the highlighter often. Can you upload other patterns to be used with the app, or only ones bought on your site? I like your positive attitude. My question is: will the free patterns be available for new Android app users when the Android version comes out? Can I upload my existing patterns to let the App Store and manage them for me? Thanks. Will this read my .pdf patterns? I like to design my own pattern charts in my drawing program. Will I be able to import these or will I still need to carry my crumpled paper? I love this app, especially the feature for counting rows. Unfortunately, when I open the app the following day, the app reboots itself and the counter is reset. This is really disappointing because the app doesn’t remember the row count from one day to the next. Can it be resolved? I’m sorry to hear that! The row counter should store the data from one day to the next as the app regularly saves progress. Please email our team on app@loveknitting.com with information about your device and the iOS version you currently have installed on your device. Just curious as to how to edit My Library. Can this be done on the app? At the moment we do not have a way to delete patterns from our library, however the tech team are building this feature so it will be available in the near future! For those of us born in the last century, with android or window devices and fated to carry patterns around, consider printing one off and covering with tape, either narrow or wide. It will preserve the paper, and could be made small. Luddites, unite! Looking forward to the Android app, also would like to be able to store PDF patterns that were not obtained from LK or LC. Will this be any use for crochet patterns too? I’m a crocheter, and have only just started to learn how to knit. Thanks. At the moment we do not have the feature to upload your own existing PDFs – but we hope to have this in the future! 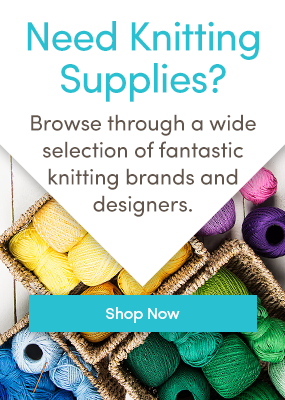 You can use the apps for your LoveCrochet patterns too – any patterns in your Loveknitting and Lovecrochet accounts will appear in your library on the app. We’ll keep you updated on the progress of the Android app! Thank you for your message. Our App is completely free! When will the Android version be ready? Will there be access to the patterns already released free on the iPhone app when the Android app is ready? Can we access the patterns just now, if so how do I do this? I am still waiting for the” non-iphone” version. I could really use this app but have Samsung phone! Our team are working hard to bring the Android app to you all as soon as they can! I too am looking forward to the Android app for my Samsung phone and tablet. My balls of yarn are eagerly and impatiently waiting for new excitement! Hi. Any update on a release date for the android app? appreciate they’re working on it but an idea as to how long we will have to wait would be good.